Our Lady of Perpetual Help School, South Ozone Park, opened its doors on Sept. 12, 1927. Now known as Our Lady of Perpetual Help Catholic Academy, the school is marking its 90th anniversary this year. 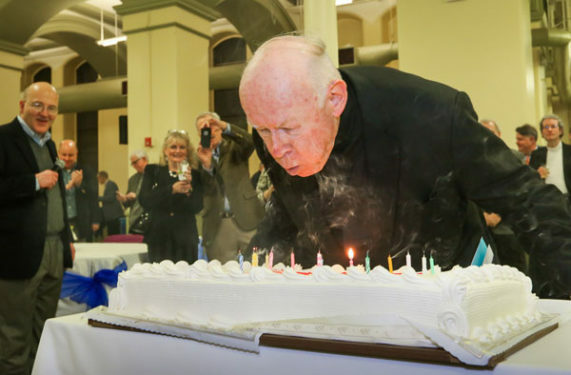 Alumni, teachers and friends are invited to a 90th Anniversary Reunion on May 6, starting with 10 a.m. Mass in church. Guests will then be invited to tour the school building from 11 a.m. to 12 p.m. A sit-down dinner at Russo’s on the Bay, Howard Beach, will follow. For more details, or to reserve a seat, call 718-843-4184. Provided by The Gilder Lehrman Institute of American History, the exhibit will open on Wednesday, Feb. 1 at 9:30 a.m. Holy Angels students will also be dressed as some of their favorite U.S. presidents. To learn more, call 718-238-5045. The NYPD’s Queens South Community Affairs Bureau is collecting gently used men’s dress clothes as part of its Young Men’s Prom Giveaway. Officers are asking for donations of suits, sports jackets, dress shirts and pants, ties and belts to give to underprivileged high school seniors so that they have something special to wear to the prom (and maybe even graduation ceremonies) this spring. To make a donation, call or text Sergeant James Clarke at 917-681-5426. This week’s Tip of the Tablet TALK Top Hat goes to the principals and teachers in diocesan Catholic schools and academies for their tireless work and dedication to helping children grow in faith, knowledge and service. They use their God-given gifts and talents to the fullest so that the children in their care learn to do the same. God bless you. Young men who are high school seniors and older are invited to Bishop Nicholas DiMarzio’s annual Vocation Retreat, set for March 24-26. 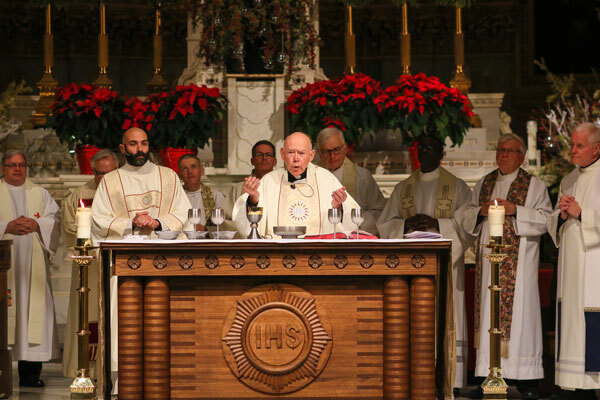 The weekend includes Mass, communal and private prayer, eucharistic adoration, a chance to chat with seminarians and presentations designed to help participants discern their vocation and consider whether God may be calling them to the priesthood. Retreatants will also have an opportunity to meet with Bishop DiMarzio. To attend, contact Father Sean Suckiel or Melanie at the Vocation Office: 718-827-2454 or vocations@diobrook.org. Msgr. 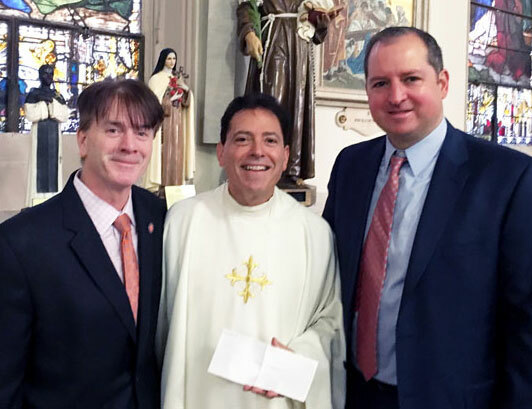 Jamie Gigantiello, the diocesan vicar for development, center, accepts a $25,000 gift for Futures In Education on behalf of the Great Irish Fair 2016 from Great Irish Fair Board Members Thomas Flood, left, and Marty Cottingham, right.